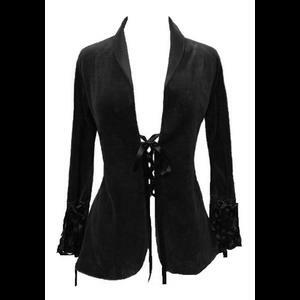 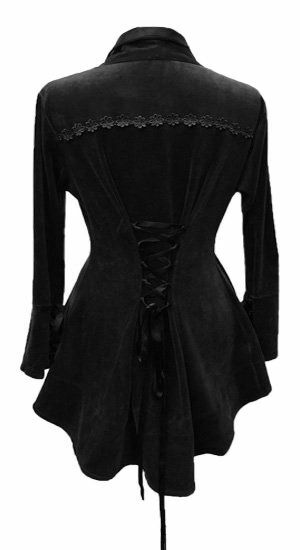 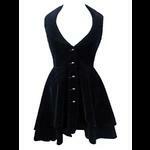 An unlined black velour velvet gothic Victorian steampunk jacket with a shaped hem and black ribbon lacing fastening at the front. 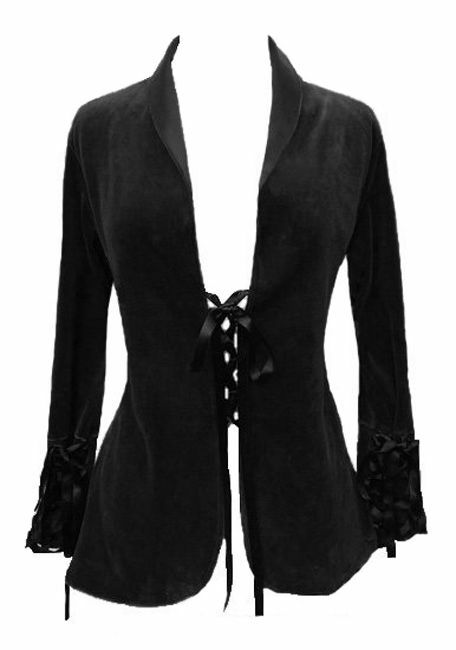 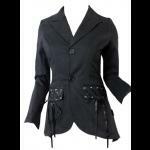 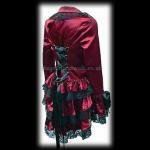 The jacket has a black satin lined collar which can be worn up or down. 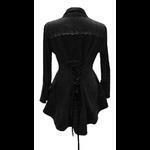 The back is longer than the front and has an adjustable black satin corset laced panel which enables you to create the perfect fit. 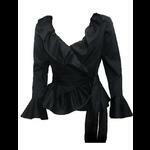 The sleeves also have the same black ribbon detail.